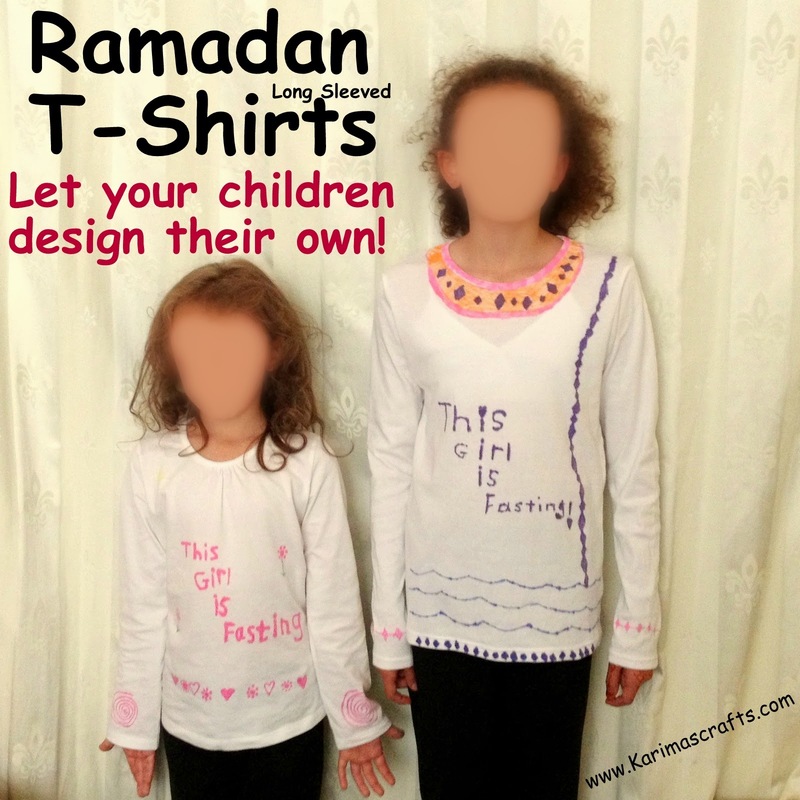 My children love T-Shirt Designing - they have done this a few times in the past and we thought why not make one to celebrate their Fasting in Ramadan this year! My youngest has been wearing this long sleeved T-Shirt that she hand designed all by herself when she has been doing her half day fasting attempts. My eldest has been completing the full day fast this year! Card or something to place inside of T-shirt to stop colour going through to the back part of the T-Shirt. My Girls designed their own T-Shirts themselves. Step 1) Find a Plain T-shirt - always best to wash it first if it is new! Step 2) Place some card or something similar inside the shirt - so that the pen colour will not transfer through to the other side of the T-shirt. 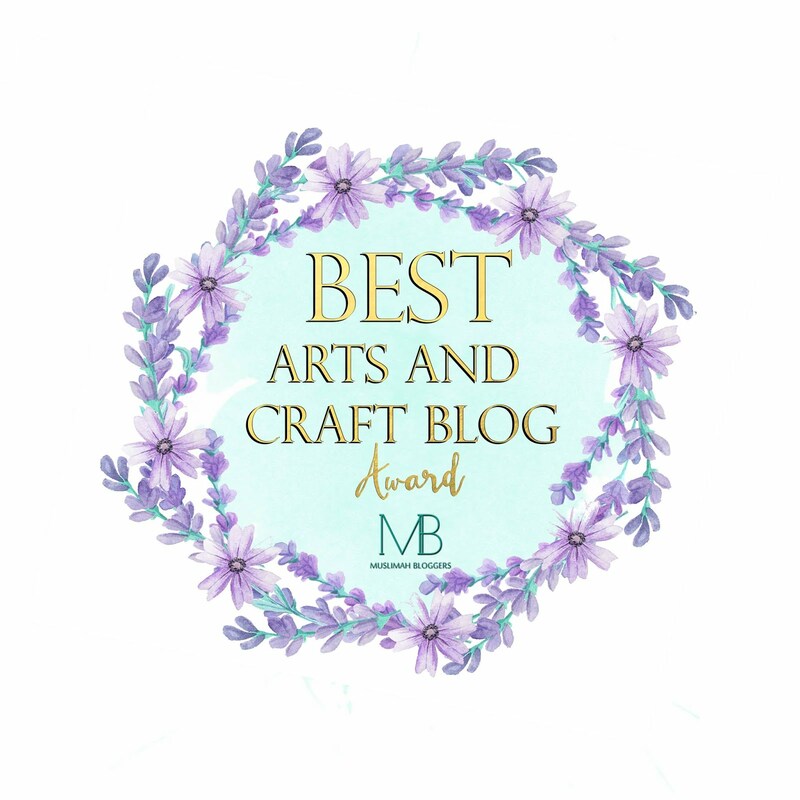 Do this for the arms if you are designing on the arms! 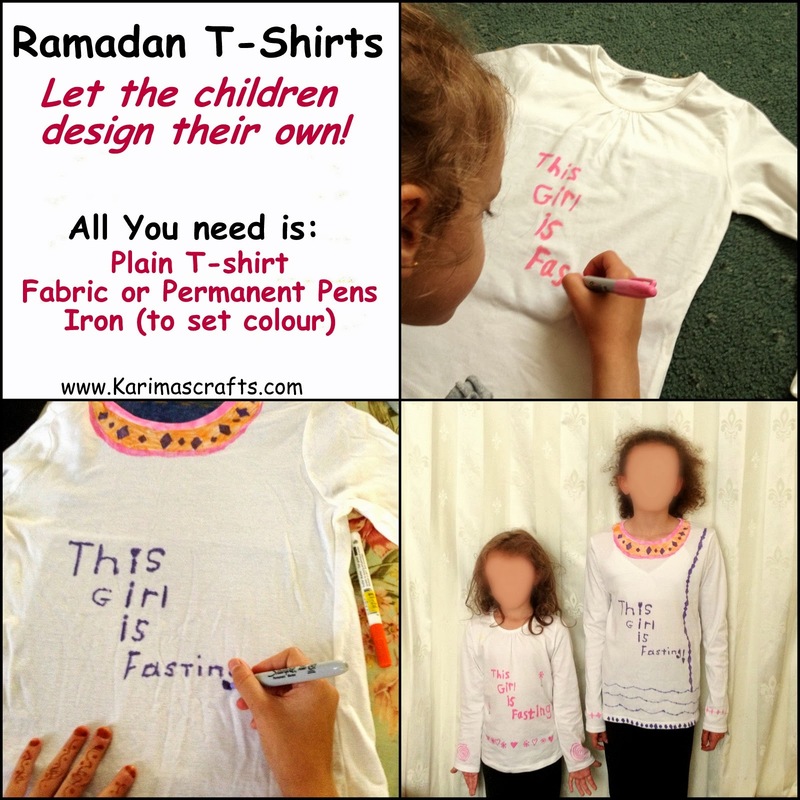 Step 3) Using the pens (we used both Fabric pens and Sharpie Pens) Start writing/drawing your design onto the T-shirt. You could try to draw a design first on paper. Step 4) Once you have your completed design - Apply heat by ironing over the design to seal the pen ink. Step 5) You can now wear your unique T-Shirt! You could design other clothes but remember cotton is the best for Fabric colouring.